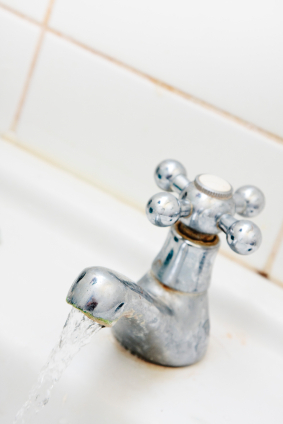 If you live in a hard water area limescale buildup will be a problem. This can be an unsightly nuisance but potentially much more serious and could end up costing you dearly. I live in London which is particularly bad. The obvious signs I see are white limescale buildup on taps and inside kettles. Most modern taps have filters in the nozzle which can block and cause a disrupted flow. Blocked shower heads are common and a generally dull look to your taps, sinks and baths is a tell tale sign. Some of the more hidden signs of limescale buildup can be more serious. Limescale buildup inside your washing machine or dishwasher can ultimately reduce the life of the machine resulting in expensive repair or replacement cost. It can also reduce the efficiency of your heating system costing you more in energy bills. So is there anything you can do about the problem? There are two main ways to deal with limescale. 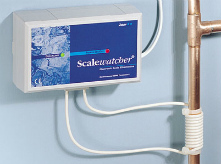 Water conditoners like scalewatcher are a great alternative to softeners as they are generally much cheaper. They are easy to install even by a novice DIYer. They don't require salt. A cable wraps around your water pipe which attaches to an electronic control unit . This changes the physical properties of the limescale forming calcium which flushes through the system.